Do not forget to get each deposit bonus whenever possible. Some will be easy to get, while others may be harder to get - remember that. If you play longer, the casino will have more chances of winning. Casinos tend to have an advantage in the long term, so stop while you are still ahead. Be patient and breathe. One huge advantage that online casinos have for you is the fact that time limits do not exist, so nobody can rush you into making your decision. Because of this, you should just sit back and take all the time you need to think about your bet. Make it a point to choose a casino with 24/7 real-time help available. Even if you might not need it, you will be thankful it exists if you ever do need it in the end..
Do not run after your losses. Make a set budget and do not exceed it! 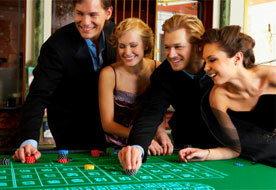 Always see gambling as a mere form of entertainment as opposed to a lifestyle or a sport. Most of the time, you will play differently when it comes to fake money games versus actual money games. Still, regardless of what you choose to play for, these games are exactly the same; the same goes for their odds. After winning some money, put your winnings away and save them for another day. Whenever you can, play the European version of roulette as opposed to the American version because the extra "00" that exists in the American version practically doubles the casino advantage unlike European roulette. Do not take blackjack insurance bets, no matter what, because your chances of winning them are at least double the casino odds of any other bet. This means that you will basically just throw your money away by making these bets. Do not keep video poker card hands that don't come with payouts. The worst that could possibly happen is you getting five more cards that do not pay out. This will just put you back to where you started.